"Delicious brownies that are actually almost healthy for you!" Mix almond flour, agave nectar, walnuts, eggs, cocoa powder, coconut oil, and vanilla extract together in a bowl; spread into an 8-inch square baking dish. Bake in the preheated oven until edges of brownies begin to pull from sides of dish, about 30 minutes. Let brownies cool slightly before slicing, about 5 minutes. 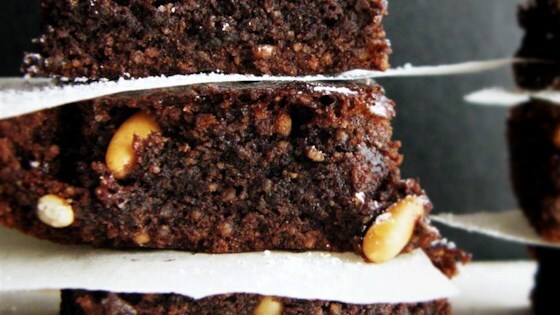 A sweet and rich, gluten-free brownie! Any variety of nut can be used in place of the walnuts, if desired.